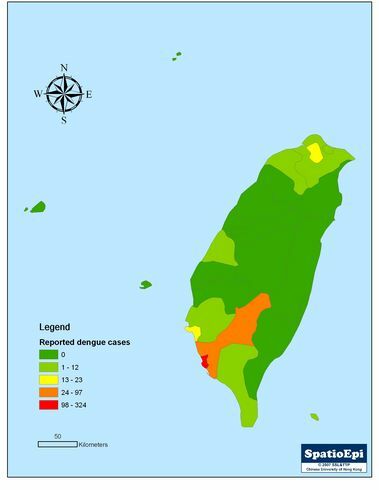 Taiwan has long been affected by the transmission of dengue virus by mosquitoes. 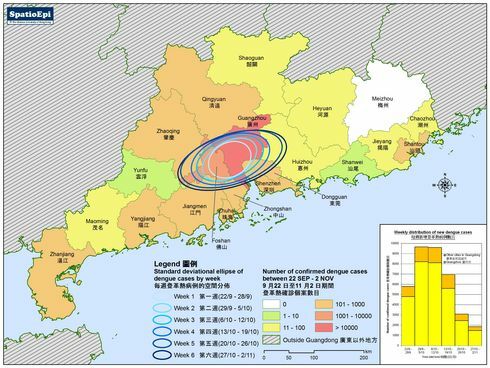 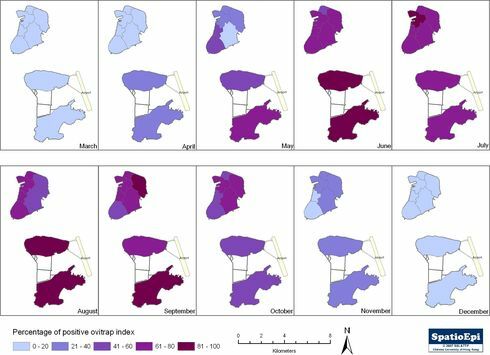 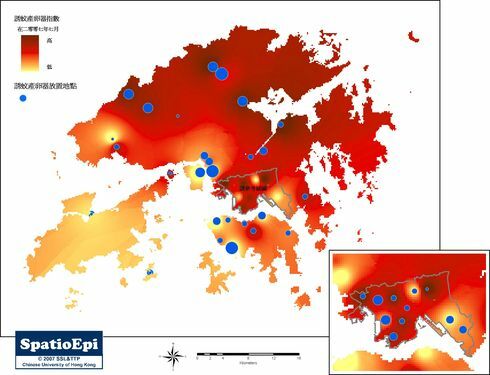 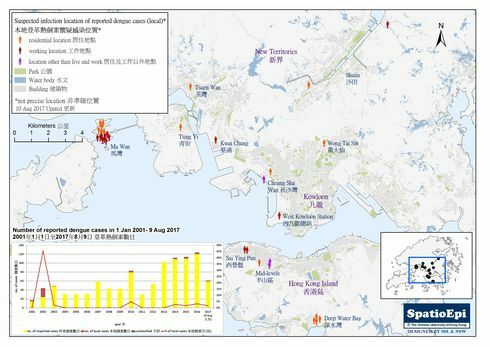 The map shows the distribution of reported local dengue cases in Taiwan in 2008, with Kaohsiung City having the highest reported numbers followed by Kaohsiung County. 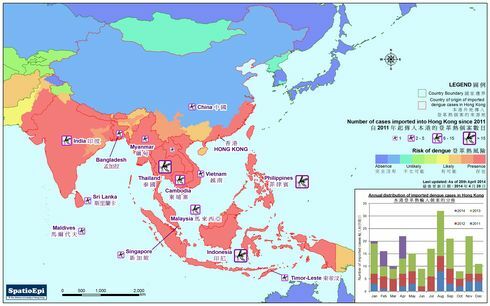 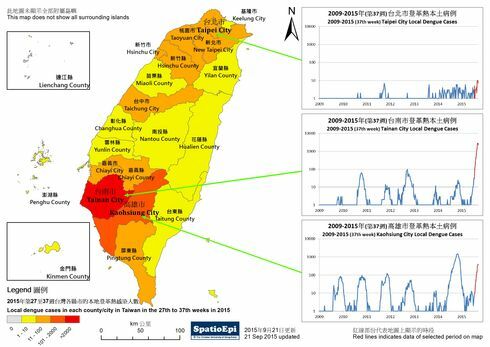 In 2002, for example, there was an outbreak in Southern Taiwan involving 5336 indigenous cases, 242 of which suffered from dengue haemorrhagic fever (DHF) and 21 died.